Do you have photos, historical accounts or other items pertaining to the Side Lake area? Would you like to share this historical information with the world? 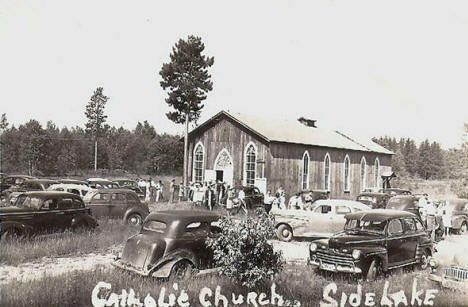 LakesnWoods.com would like to publish your Side Lake photos (current or historical) or historical accounts on this website. Original materials can be returned and your privacy will be respected. Side Lake is an unincorporated community in French Township, Saint Louis County, Minnesota. 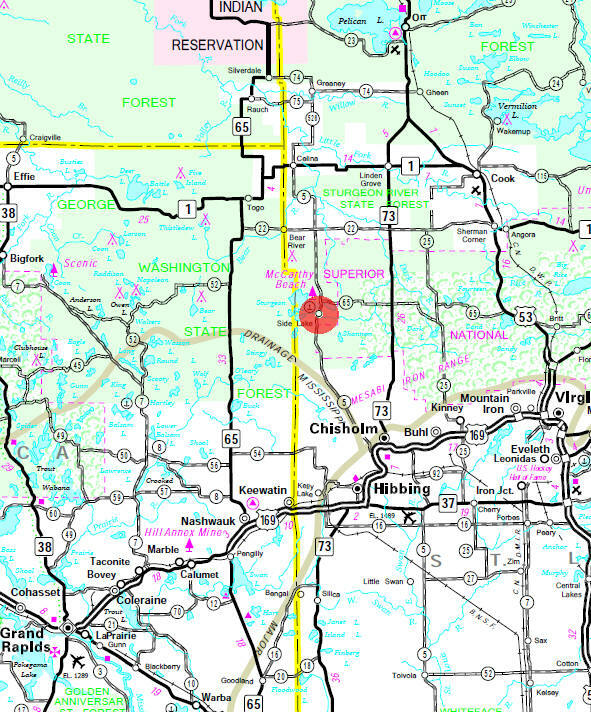 The community is located north of the cities of Chisholm and Hibbing on County Highway 5. 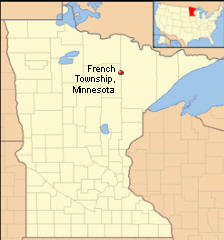 According to the United States Census Bureau, French township has a total area of 37.3 square miles (96.7 km²), of which, 33.2 square miles (86.0 km²) of it is land and 4.1 square miles (10.7 km²) of it (11.04%) is water. The elevation is 1,371 ft (418 m) above sea level. As of the census of 2000, there were 354 people, 146 households, and 117 families residing in the township. The population density was 10.7 people per square mile (4.1/km²). There were 286 housing units at an average density of 8.6/sq mi (3.3/km²). The racial makeup of the township was 99.72% White, and 0.28% from two or more races. There were 146 households out of which 25.3% had children under the age of 18 living with them, 74.0% were married couples living together, 3.4% had a female householder with no husband present, and 19.2% were non-families. 16.4% of all households were made up of individuals and 6.2% had someone living alone who was 65 years of age or older. The average household size was 2.42 and the average family size was 2.66. In the township the population was spread out with 19.2% under the age of 18, 4.8% from 18 to 24, 23.2% from 25 to 44, 34.2% from 45 to 64, and 18.6% who were 65 years of age or older. The median age was 47 years. For every 100 females there were 103.4 males. For every 100 females age 18 and over, there were 110.3 males. The median income for a household in the township was $49,583, and the median income for a family was $58,125. Males had a median income of $45,781 versus $35,625 for females. The per capita income for the township was $23,856. About 2.0% of families and 3.7% of the population were below the poverty line, including 11.4% of those under age 18 and 4.4% of those age 65 or over. Side Lake, a village in section 21 of French Township (T. 60N, R. 21W), with a post office established in 1927. 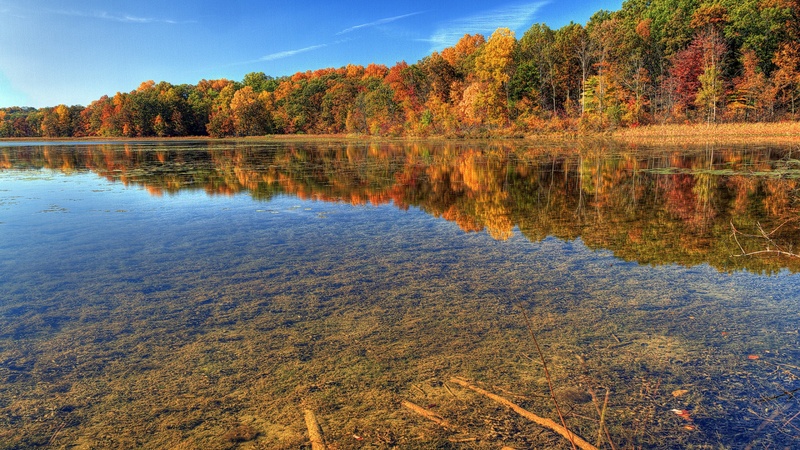 Come to McCarthy Beach State Park and you’ll remember the lakes. 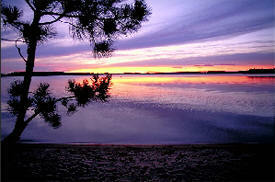 The sandy beach on Sturgeon Lake was rated one of the top 17 beaches in North America by Highway’s Magazine. Walk along the half-mile of shoreline, or venture out into the shallow water that extends hundreds of feet into the lake. Launch a boat on Side Lake or Sturgeon Lake to explore the five connected lakes of the Sturgeon chain. Hikers, mountain bikers, and skiers enjoy scenic trails that wind along pine-covered ridges and through stands of birch. Snowmobilers and horseback riders take advantage of the Taconite State Trail to access miles of trails outside the park. Located near many tourist attractions, McCarthy Beach State Park offers opportunities for both relaxation and exploration. 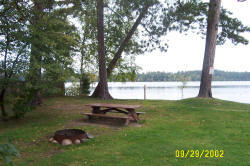 Quality family year round resort & summer campground. 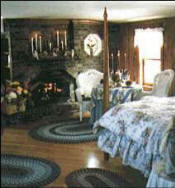 Excellent cabins, fishing, beach, and snowmobile & cross-country ski trails. Level grounds & children's playground. 25 wonderful camping sites. Elegant honeymoon style accommodations, private baths. Spacious, romantic suites with fireplaces, equipped kitchens, even a Jacuzzi for two. Sumptuous four poster queen beds, fine antiques. Full gourmet breakfast, desserts, beverages, evening aperitif and chocolates.